For the second straight year, MahjongTime.com, the most innovative, secure and competitive mahjong site on the World Wide Web, is hosting the Open European Mahjong Championship (OEMC – Online 2008). This year’s competition will be held on September 6 and 7. Last year, the first OEMC-Online 2007 proved to be highly competitive with the final round being played by fleurtje (Netherlands), Thorgal (Netherlands), Dragonka (Hungary) and JulJul (USA). The finale consisted of 12 deals and was an exciting back and forth contest. In the end, the winner of the first OEMC – Online 2007 was American Juliani Leo (JulJul), who earned the gold-plated mahjong tile with her victory. Offline, Mahjong Time is sponsoring the Third International Mahjong Tournament of Paris –French Championship 2008. The event will run from April 25- 27. Its weight is one MERS point. 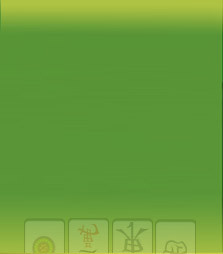 For more information click http://mahjong.paris.free.fr/ . Additionally, March 8~9 Austrian Tournament Bruck/Mur, Austria MCR MERS 1, April 12 Open Danish Championship 2008 Copenhagen, Denmark MCR 2 ,the Third Hungarian Open will be held in Dunaujvaros, Hungary, on August 9 and 10. This tournament is worth 2 MERS points. For a list of all upcoming tournaments, including the OEMC-Online 2008, go to http://www.mahjongnews.com/calendar.htm In the next few months, we’ll be announcing that the registration tables are open for the OEMC-Online 2008 and other tournaments. Keep your eyes open; you won’t want to miss any of these events.